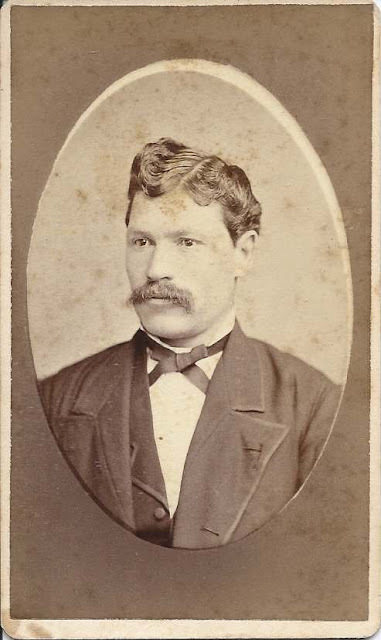 Carte de visite of a man identified on the reverse as Bert Crockett; the CDV was produced by the D. C. Dinsmore studio of Dover, Maine. 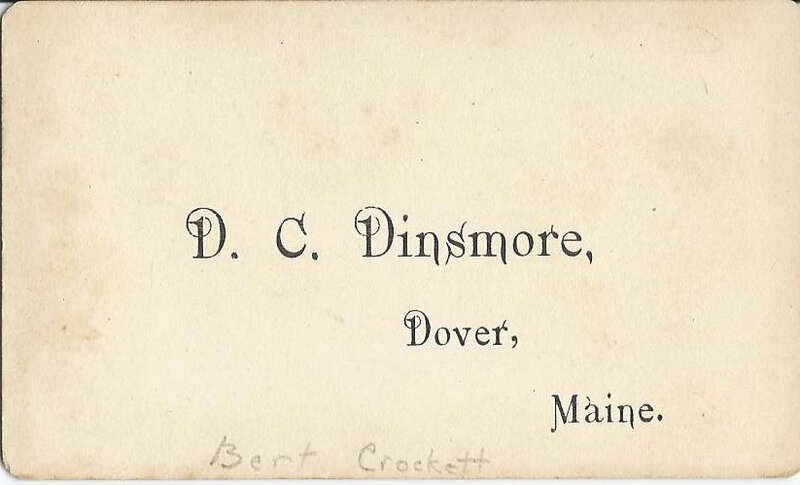 It's possible that Bert was Elbert Duane Crockett, who was born 17 July 1852 at Dover, Maine, son of Simon and Hannah (Purington) Crockett. I believe he married at least twice. His first marriage was to Jennie Dow, with whom he had son Holmes Elbert Crockett, born 11 July 1877 at Boston, Massachusetts. Jennie was born at Pierrepont, New York on 22 May 1853, daughter of William Dow. She died in 1882 in Massachusetts. Elbert married Hannah H. Lyford in 1888. Hannah was born 12 November 1851 at Sebec, Maine, daughter of Eleazer and Mary A. (Harriman) Lyford. Elbert, Hannah and Holmes were listed in the 1900 Census of Minneapolis, Minnesota. Elbert and Hannah were still in Minneapolis at the time of the 1910 Census, but Holmes had left the household by then. Elbert died at Minneapolis on 28 September 1911. At some point Hannah returned to the Dover, Maine area, where she died in 1928. Holmes Elbert Crockett stayed in Minnesota, where he married and raised a family. 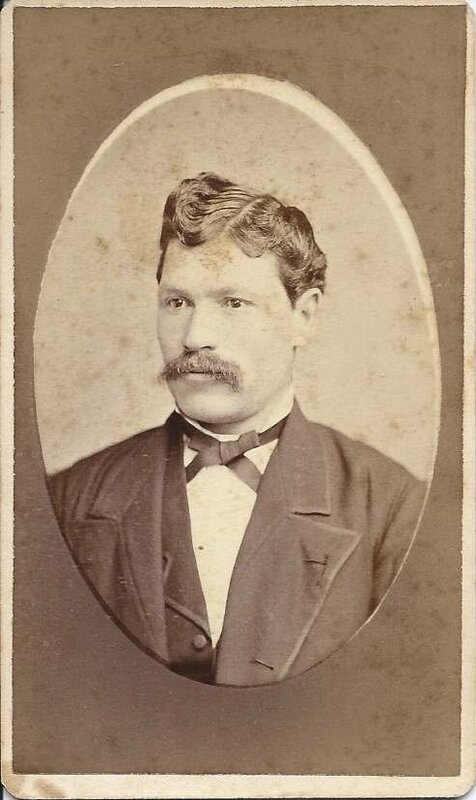 If you have corrections to the information above or if you recognize the man in the carte de visite as a different Bert in the Piscataquis County area, please leave a comment or contact me directly.